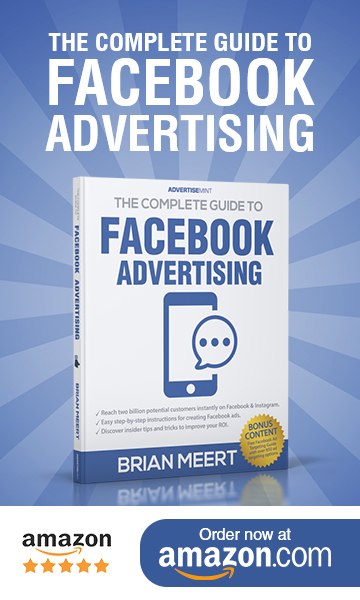 For 15 years, Facebook has been revolutionizing the social media-scape for both users and advertisers alike. Even amidst scandals surrounding misuse of the platform, Facebook remains a social media giant, its reach extending across the world. 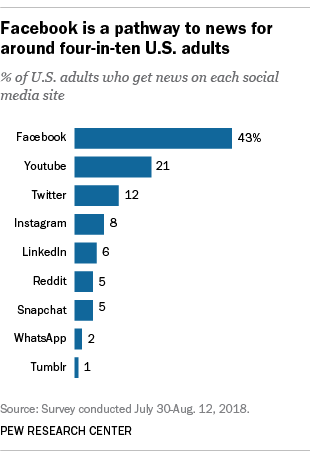 In recognition of Facebook’s 15th anniversary last week, here are 10 Facebook facts uncovered by Pew Research Center studies conducted in 2018. US adult use is up from 54 percent in August 2012. About 35 percent of US adults use Instagram. Smaller percentages use Pinterest, Snapchat, LinkedIn, Twitter, and WhatsApp. About 74 percent of the adult users who use Facebook are on the platform daily, according to the same survey. That share is higher than Snapchat’s at 63 percent and Instagram’s at 60 percent. 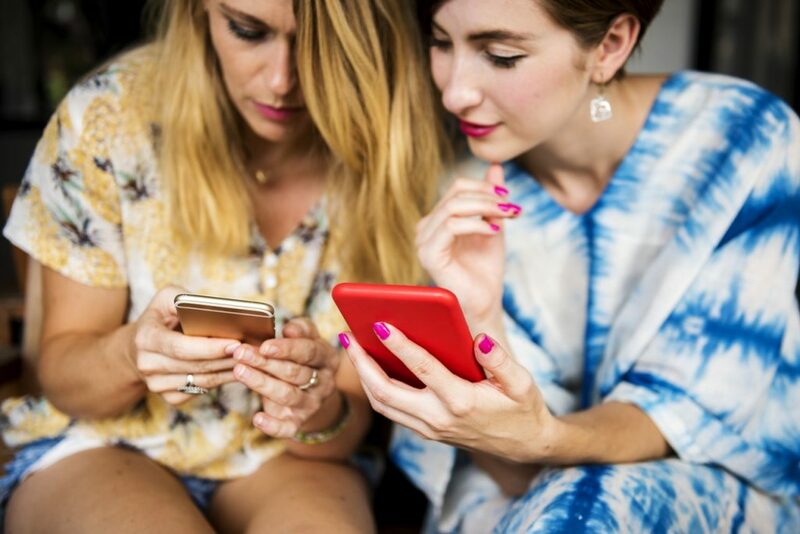 Facebook and Snapchat users, however, at 51 percent and 49 percent respectively, use each platform multiple times a day. About 81 percent of adults ages 18 to 29 use Facebook. About 41 percent of adults ages 65 and older use Facebook (doubled since August 2012). 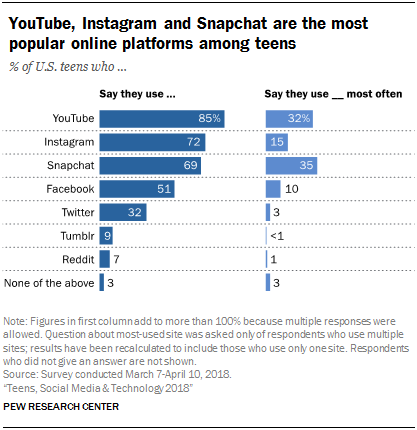 While half of all American teens use the platform, Facebook is no longer the main platform of choice for teens. A 2018 survey of US teens found that 51 percent of teens ages 13 to 17 use Facebook, compared to 71 percent in 2014 to 2015. 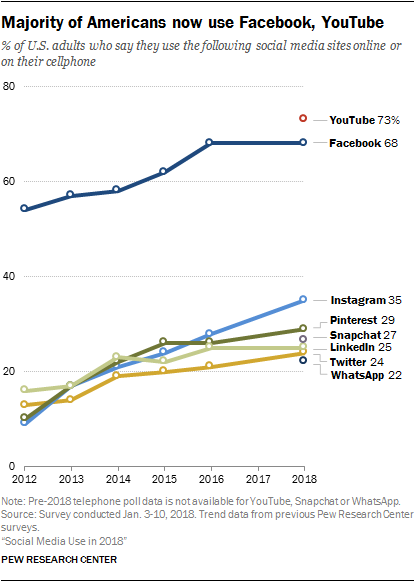 The top social media sites for teens are now YouTube (85 percent), Instagram, (72 percent), and Snapchat (69 percent). According to the Center, seven in ten teens in households earning less than $30,000 a year use Facebook. In contrast, only 36 percent of teens with annual family incomes of $75,000 or more use the platform. 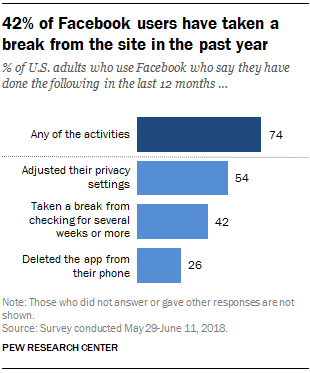 About 54 percent of US adult Facebook users have made changes to their privacy settings within the last 12 months, according to a May to June 2018 survey. The Center says these findings came shortly after the Cambridge Analytica scandal, which involved the unethical collection of personal data from tens of millions of Facebook profiles. Additionally, the Center found that 42 percent of users have taken a break from Facebook for several weeks or so and 26 percent have deleted the Facebook app from their phone within the past year. Only 14 percent of users believe all users have a lot of control over their News Feed. 28 percent believe users have no control over their News Feed. 57 percent believe users have at least some control over their News Feed. 63 percent have not intentionally attempted to change what appears in their News Feed. The Center says 74 percent of US adult users surveyed for a 2018 study were previously unaware that Facebook collects information about their personal traits and interests and shares it with advertisers. Users don’t realize they can access this information through the “Your ad preferences” page. About 51 percent of adult Facebook users who know about the list are uncomfortable with the platform maintaining this information. Additionally, although 59 percent of users say the information Facebook has accurately reflects their interests, 27 percent say the information is not accurate. The year 2018 had a lot of ups and downs for Facebook. However, looking back at all of the advertising changes the company made, it’s clear the platform is going to remain a social media giant for many years to come.